Who does the BBMR help? If we have been in contact with you to say that you are a potential match for a patient seeking a bone marrow or blood stem cell transplant, this is the page you need to read. Please read our donor information leaflet (PDF). The first four pages cover the initial steps in the process of becoming a donor. Call us - please call our team of Stem Cell Coordinators on 0117 912 5729 – we’re open from 8am to 6pm Monday to Friday. We can talk you through the process, answer any questions you may have, then run through a health screening questionnaire. It is best to call us from somewhere private and allow 15 minutes for the call. Arrange to provide blood samples. After you have spoken to us, we’ll guide you through the process to provide blood samples. This will enable checks to be carried out to see how close a match you are for the patient. We certainly understand that you may have mixed thoughts about donation. If you are not sure you wish to continue, we would encourage you to read our donor information leaflet and then give us a call on 0117 912 5729. We can talk through any concerns and provide any additional information you might want. If donation isn’t for you, it really helps us if you can let us know so that we can stop trying to contact you and look for another donor. You can also email us at British.Registry@nhsbt.nhs.uk, but please do quote your donor ID if possible. 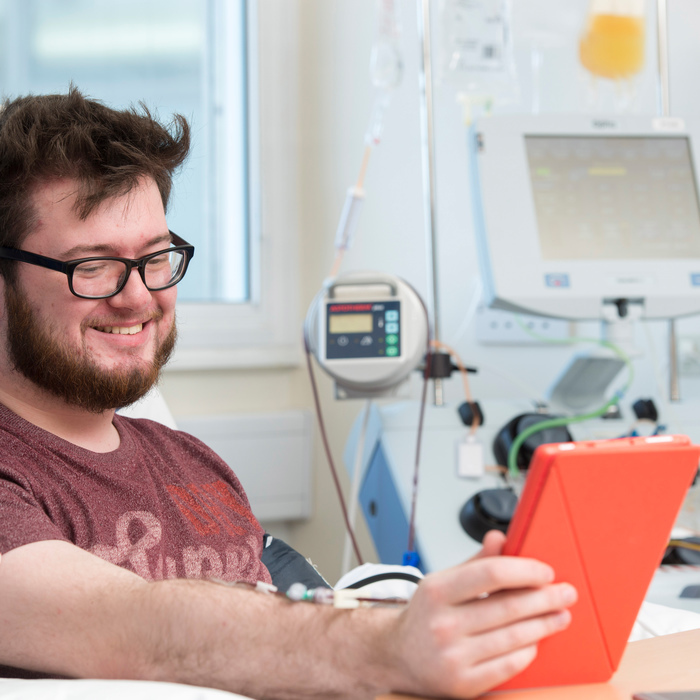 If we have been in contact with you to say that you are a potential donor, please call us on 0117 912 5729 (8am – 6pm Monday to Friday) or email British.Registry@nhsbt.nhs.uk. If you are thinking of joining the British Bone Marrow Registry, you can join the register when you next give blood, or at the same time as your first donation. Read our advice about joining the British Bone Marrow Register or call the Donor Line on 0300 123 23 23. Read more about becoming a bone marrow or blood stem cell donor in our information leaflet.